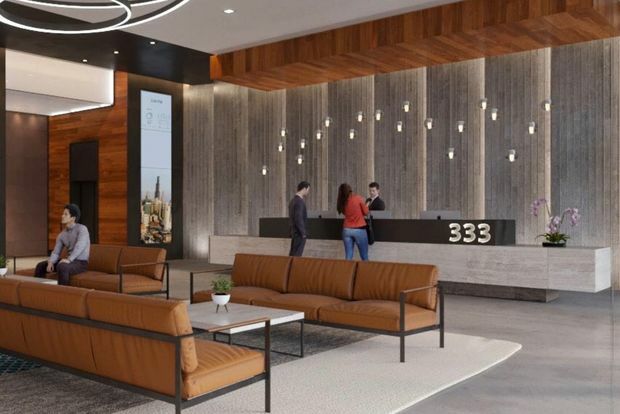 WEST LOOP — Sterling Bay developers want to expand their growing West Loop footprint with a 24-story office building across from the former Coyne College. 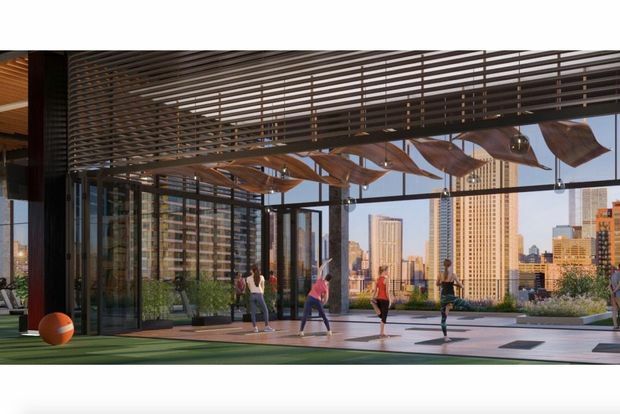 Renderings obtained by DNAinfo depict an angular glass tower with 17 floors of offices, an amenity deck and terrace, four floors of parking and a two-story lobby with retail and a library. The tower would stand on a parking lot at 333 N. Green St. that formerly belonged to Coyne College, just north of the red-hot Fulton Market District. 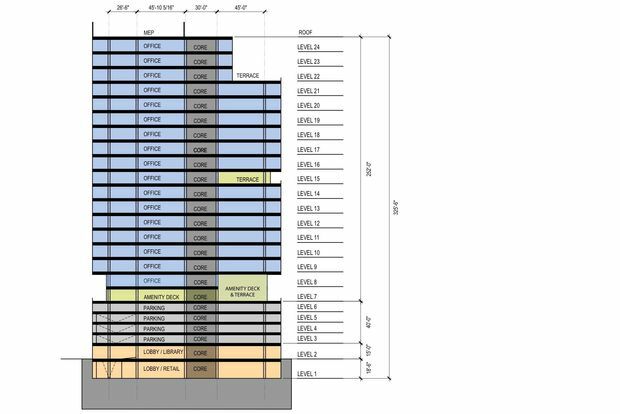 But plans are still in preliminary phases and subject to scrutiny from neighbors before a proposal is presented to city officials, 27th Ward Ald. Walter Burnett Jr. said. Burnett said he would wait until hearing West Loop residents' thoughts on the project before making up his mind. "I really don't have an opinion until after we have a meeting," Burnett said. "As long as it's not residential, it's cool with me personally. But I have to deal with the community." 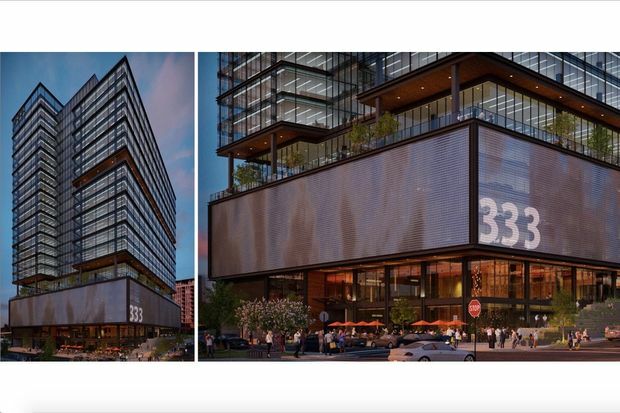 The West Loop Community Organization did not immediately respond to requests for comment on a meeting schedule to discuss the proposal. Sterling Bay also did not respond to a request for comment. The for-profit Coyne College moved to 1 N. State St. in July 2016, selling its campus — bound by Peoria, Wayman and Halsted streets and the Metra railroad tracks — for $30.4 million to Sterling Bay the next month, Cook County records show. 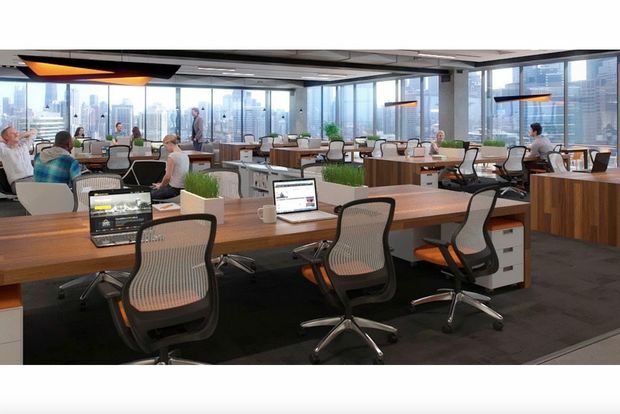 Already, Sterling Bay has leased six floors of offices to New York-based Group M Worldwide media company, county records show. Thirteen of the floors are expected to house about 37,287 feet of offices, with the top three floors featuring terrace space. 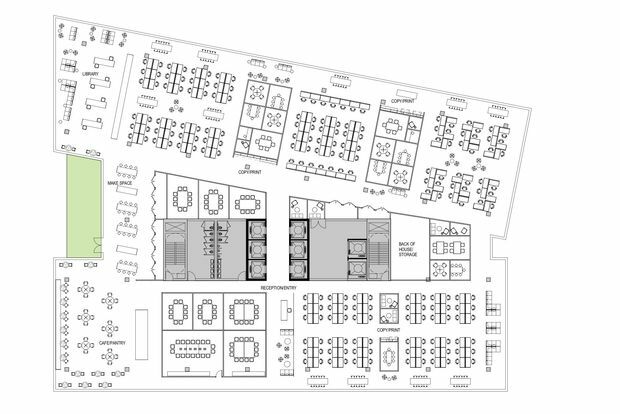 Each would have room for about 190 desks, 13 "huddle station" clusters of four to six seats, 10 focus rooms, eight conference rooms, a cafe, maker space, library and storage, as seen in a preliminary rendering. 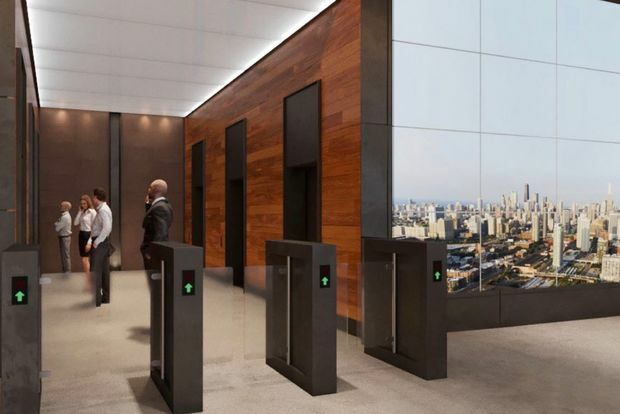 The 15th floor — among those leased to Group M Worldwide — would feature a 45-foot terrace. On the seventh floor, a two-story amenity deck with another terrace would sit above the parking garage. The college building itself was floated as a possible location for the new West Loop library back in 2016. 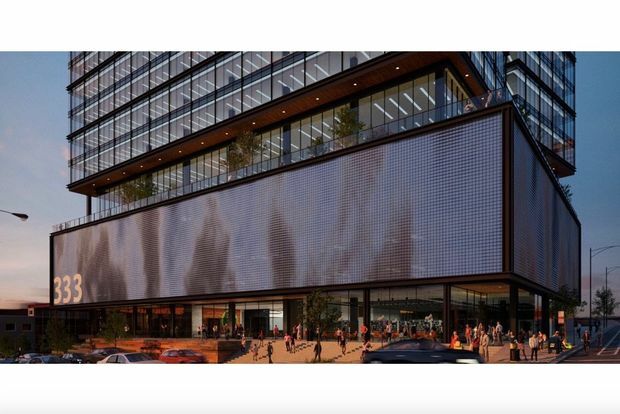 But the developer abandoned that plan and decided instead to donate a building at 118-122 N. Aberdeen St., placing the West Loop's new library across from the new McDonald's corporate headquarters. Sterling Bay also developed that building. Now Sterling Bay hopes to build a $200 million office building on the site of the 76,000-square-foot college building.